San Simeon is home to many different trails and hiking spots with some of the best views in the county. One trail in particular, the Boucher Trail, provides two great viewing spots of the Northern Elephant Seals, so you can beat the crowds. 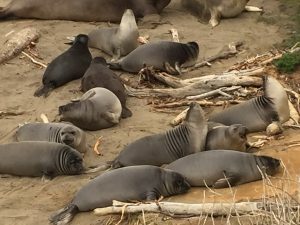 The Boucher Trail is located right off Highway 1at Piedras Blancas, right by the Elephant Seal Viewing Point. The trail wraps around the cliffs of Piedras Blancas, so you can extend your Elephant Seal viewing. This trail is an easy hike, only 3.8 miles round-trip and can be done in an hour and a half. The trail is well marked and maintained with views throughout the hike. There two main look out spots where you can view the elephant seals. The first is about 10 minutes from the start and the second is about 15 minutes after that. This secluded trail offers spectacular scenic vistas of the coastal bluffs. 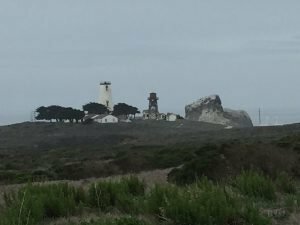 The trail runs from the paved elephant seal viewing parking for 1.9 miles, to a half-mile north of the treasured landmark, the Piedras Blancas Light Station. Make a day of it and head over to the Piedras Blancas Light Station for one of their guided tours. Unfortunately, you will have to leave your furry friend for this hike because the trail does not allow dogs. However, there are other places in San Simeon that allow your dog to come with.